As most people know, the desire to get away for a bit increases with every sunny day. So with a couple of mild weeks ahead of us, there will be plenty among you itching for an affordable break abroad. Places like Barcelona, Berlin and Paris are already heaving with tourists – why not look closer to home and give Maastricht a try? 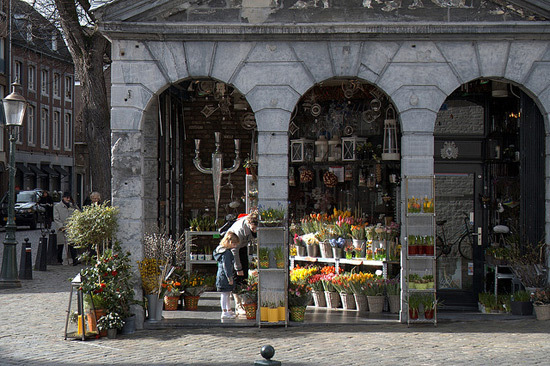 Mostly known for its excellent university, Maastricht in fact also has a number of well-stocked boutique, luxurious department stores, haute couture outlets and side streets full of surprises. The Vrijthof Square is the centre of all shopping activity in Maastricht and is a great starting point for your shopping strolls. There are plenty of markets (fish, farm produce, etc.) going on throughout the week, but the biggest one takes place every Wednesday and Friday morning on the Market Square across the City Hall. Fans of books and architecture should definitely check out the Selexyz Dominicanen book store, which is located in a huge church off the Vrijthof Square, while fashionistas can trawl the alleys of the exclusive fashion quarter ‘Stokstraatkwartier’ and the more quirky ‘Wyck’ quarter. If you fancy venturing out of the city centre, the White Village of Thorn lends itself for a visit – its whitewashed walls, small houses and cobbled streets make for a relaxing afternoon walk. To get to Maastricht, you can travel to P&O Ferries port in Rotterdam, from where it is a two-hour drive to Maastricht. 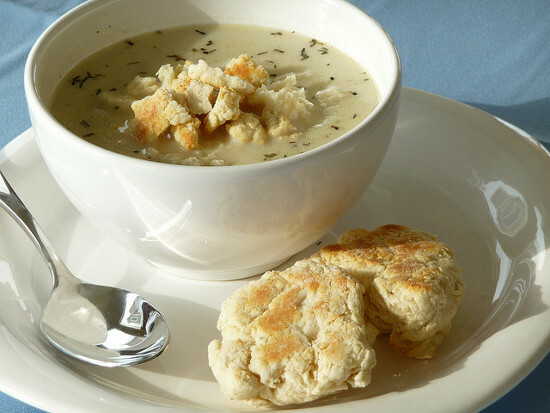 If there is one dish that unites all corners of the globe, it has to be soup. La Louche d’Or – or the Golden Ladle – festival, which is being held on the streets of Wazemmes, Lille, on May 1st 2012, follows that spirit and invites the world to come and join in. This festival has been running since 1984, and it now draws a large crowd of around 80,000 – rest assured, they’re not all in line for soup. The Golden Ladle Soup festival isn’t just about the food, it’s a street party with local bands and artists travelling from across the globe. Audience participation is a must: not only can you go and whip up your own favourite soup recipes for the crowd, but you can also perform as well. There’s a general party atmosphere, as the festival lasts for the entire day and well in to the night. The variety of dishes available will really broaden your palate and expert soup chefs will happily trade tips and give you some help if you show an interest in how (just an example) to make a hearty, German-style lentil and sausage soup. Lille is in the North of France, so your journey from Calais will be a brief one. It’s filled with things to see, like the Palais de Beaux Arts, whose collection of masterpieces was first instigated by Napoleon. It boasts to be the second best art collection in France, and it contains statues, paintings and prints dating back to the Middle Ages as well as displays from Renaissance masters. It is also a city of great character: from quaint narrow cobble streets to mammoth heralds like the Place du Generale de Gaulle, Lille is a city built for exploration. Once you’ve had your fill of soup, you can amble through the market squares or luxuriate at one of the sun-drenched cafes or bars. This April at the Belgovino fair, you’ll have the unique opportunity to sample some Belgian vintages before their official release. You can book a table for the wine fair at Brusselicious, which is a celebration of all things gastronomically Belgian, here. This event is taking place at the Brussels Tram museum on Saturday 14th April. It certainly promises to be a memorable evening of fine food, good wine and, depending on the company, decent conversation. You’ll also be treated to a tour of the fair before it kicks off, and a celebratory cocktail to get you in to the spirit of things. This is a luxury booking which costs 85 € per person, and you can book a table for up to 10. You’ll get the chance to sample the finer things in a sit down meal with the wine makers so you can get a master class in the origin and history of what you’re drinking. To top it off, the meal will be prepared by chef Lionel Rigolet from the Comme Chez Soi restaurant. As a country famed for beer and chocolate, Belgian vintages rarely get a look in when the more expensive wines are discussed. But with the increase in cold-climate wine making, Belgian wines are getting paid more attention, and rightly so. The local wine makers are hardly novices either, as numerous French vineyards are owned by Belgians. 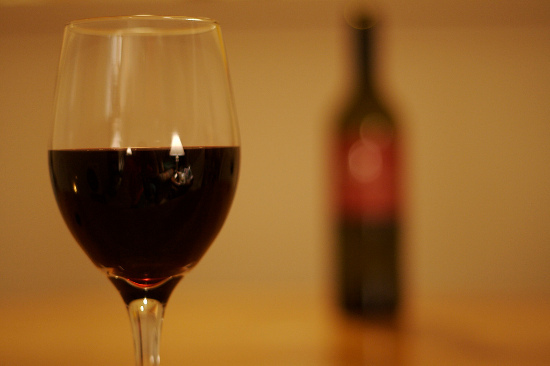 There are now 20 commercial vineyards in Belgium, so we’re sure you’ll something to sate your palate. P&O Ferries offer an overnight service from Hull to Zeebrugge. You can either take your car with you and drive to Brussels or catch a train from the port town. To continue you tour of exotic flowers and rare and beautiful plants on the continent this year, you may want to pay a visit to the Royal Greenhouses in Laeken. Be warned though – the opportunity for roaming these greenhouses is limited to a three week window. In 2012, they will be open from April 13 to May 6th. 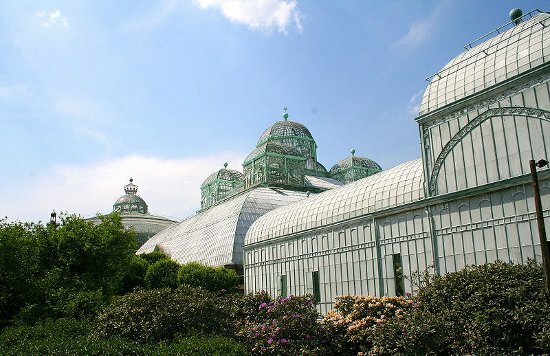 The Laeken greenhouse is considered to be one of the main monuments of 19th century Belgium. It was constructed in an age where metallurgy and glass work had improved to the stage where greenhouses had first started being constructed. Architect Alphonse Balat, teacher of Victor Horta – one of the most important names in Art Nouveau architecture – was commissioned to design a complex of greenhouses to compliment the castle. Although there is only a short time frame to visit this great nature site, this is a great opportunity to walk in the footsteps of royalty and witness the splendour of the greenhouses from inside. Rare and beautiful flowers housed in one of the world’s finest greenhouses is certainly not a thing to miss – Laeken is home to one of the most important collections of camellias too. P&O Ferries can get you to Laeken via their service from Hull to Zeebrugge. The Chaumont Garden Festival celebrates its 20th birthday this year, and you’d be well advised to pop across the channel to see the beauty of the gardens in the shadow of the famous Château de Chaumont for yourself. Located in the beautiful Loire valley in northern France’s Loir-et-Cher department, the first incarnation of the splendid Château was built in the 10th century, and was assigned historic status more than 150 years ago. Since 1992, the castle’s gardens have hosted the Chaumont Festival des Jardins (Chaumont Garden Festival), and this year’s event, taking place from 7th April until 7th November, promises to be another fine spectacle. Dozens of landscape designers create themed gardens for the occasion, using different colours, flowers, plants and other materials to convey their visions of what gardens could look like. The Chaumont Garden Festival has gained a reputation as a must-see for anyone interested in floral and garden design, and has been dubbed the French equivalent of the Chelsea Flower Show. This year will also see the addition of a brand new, 10-hectare area, designed by renowned landscape architect Louis Benech. His Prés du Goualoup will be ready to visit later this year. The gardens can also be explored by night, when a special illumination shows the designs and the castle in a different light (no pun intended). Once you’ve finished your walk around the gardens, you could do worse than making the trip up to the castle itself, which offers fantastic views of the Loire valley. To get to the Loire valley, you could go on a little road trip, starting with a ferry trip to Calais with P&O Ferries. From there, you could either drive to Paris before continuing southwards, or drive directly to the Château de Chaumont, which is a three-hour drive. From the 22nd March, the Dutch Keukenhof flower gardens will once again be open to the public – and you should be there when it happens. The Keukenhof flower gardens were established in 1949 and have been the largest public showcase of flowers for the last 50 years. The best time to visit is mid-April when everything is in full bloom. A trip around the Keukenhof gardens are the perfect way to chase off any lingering winter blues as you get to see Spring in all its glory. 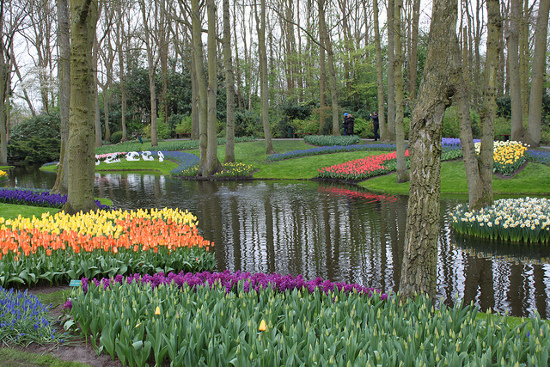 As lovely as they are, you may not want to spend all your time in one of Holland’s cities, so a daytrip out to Keukenhof is a great way to get some fresh air and scenic views. There are approximately 7 million bulbs planted annually and it won’t take a horticulturalist to appreciate the displays at Keukenhof. Although Holland is famed for its tulips, there’s so much more to see. 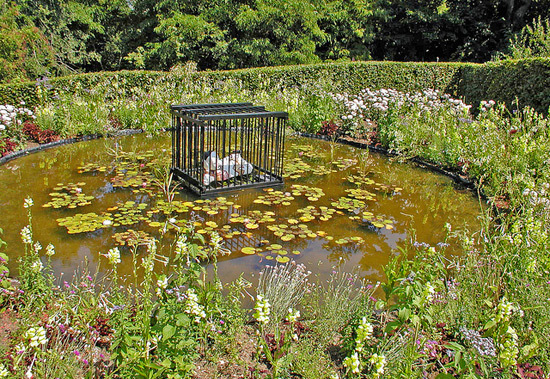 Keukenhof has arrangements of hyacinths, daffodils, roses, irises, lilies and many more. Although you can’t take bulbs across borders, you will have the opportunity to pre-purchase some bulbs and have them delivered later this year, during planting season. There are also special events to be held at the gardens as well. A weekend dedicated to the composer Frederic Chopin starts on the 24th, special Easter events are to be held (meaning chocolate in abundance) and of course the famous Flower Parade is set for April 21st. The gardens are placed between Rotterdam and Amsterdam, so it makes for an excellent stop off between the port city and Holland’s capital. Belgium’s lesbian, gay and transsexual community will be out in force during the week commencing 4th May – and everyone’s invited. 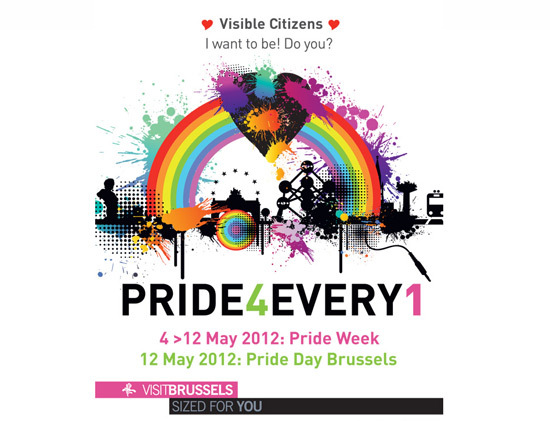 This year’s Belgian Pride Day takes place in Brussels on 12th May and concludes a week of activities and parties designed to raise awareness about the threats still being faced by gays, drag queens, cross-dressers and others who might not pass the orthodoxy test of their respective country or society. There will be a focus on preventing and fighting bullying and discrimination, whether at school or elsewhere in public, and on celebrating diversity and openness. Fully organised by Pride, a non-profit organisation, and run by volunteers, it is a fantastic event that combines the most positive aspects of political activism and a celebratory atmosphere. There will be a number of live concerts and shows, as well as the main march on Saturday 12th May, which starts at around 2.30pm and departs from the Boulevard Anspach. To check for new updates to the festival’s programme, check out the Belgian Pride’s official Facebook page. You can make the trip over to mainland Europe using P&O Ferries. Their Belgian port is in Zeebrugge, which is only about an hour’s drive from Brussels. Spring is in the air and that means all over the continent men are squeezing on their lycra and pumping up their racing tyres; yes, it’s time for the Spring Classics, Alez! 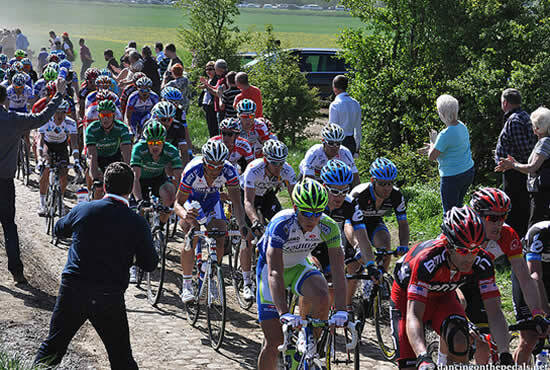 The Spring Classics are a series of outdoor cycling races that take place across Northern France and Belgium. They are some of the toughest one day events in Europe. The ‘daddy’ of them all is the Paris-Roubaix race, otherwise known as the Hell of the North. It’s a one day classic that covers a stonking 260km across some of the toughest roads in France. This year it will take place on Sunday 8th April. It got its rather intimidating nickname way back when it started. It was just after the First World War, and the entire landscape between Paris and Roubaix had been blown to smithereens. Everywhere trenches and craters littered the landscape, mud and ruined farmhouses were all that remained. Against this desperate landscape those first hardened cyclists pitted their resolve, as they stretched and strained their way to the distant finishing line. Today this demonic challenge has been recreated by placing large sections of the route over bone jarring cobbles. Yes, that’s right, these guys actually choose to race each other across vast distances over cobbles –guaranteed to loosen screws and unhinge you permanently. This is considered by many an ardent tough guy to be the single hardest one day race in the world, and the finishing line is at the Roubaix Velodrome on Sunday 8th April; just a short drive from Calais. Anyone out there who considers themselves to be a bit ‘Chuck Norris’ is strongly advised to get themselves down there and have a look at what a proper action hero looks like. Roubaix is a short drive from the Port of Calais. You can reach it via P&O Ferries on one of its 25 daily crossings.